It's Girls' Night In--no kids, no men, no rules! 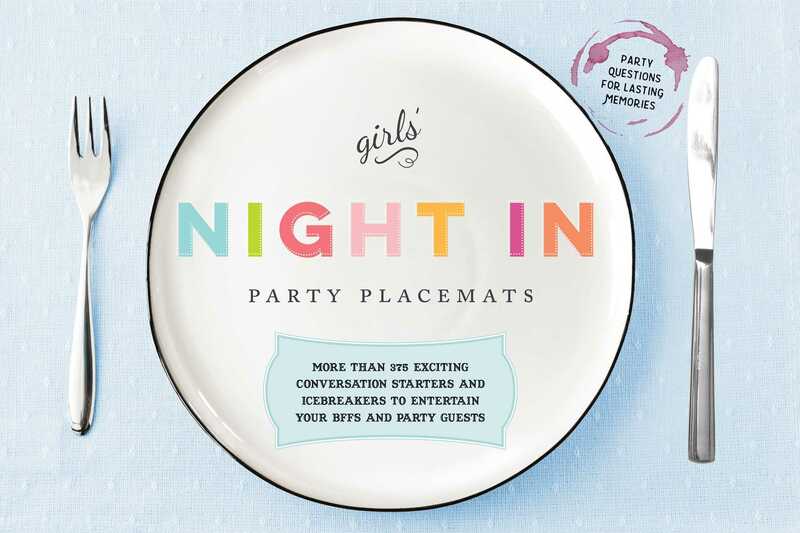 Make your next girls’ night unforgettable with these elegant conversation-starting additions. *Which celebrity was your teen heartthrob? *What's the worst dress you've worn as a bridesmaid? *If you had to go to jail, who would you want as your cellmate? *How old were you when you truly felt like "yourself"? *Did you ever have a "summer love"? It's provocative! It's creative! It's decorative! And most of all, it's FUN! It's Girls' Night In!